Leak Locators, Inc. is an expert leak detection company serving Florida and surrounding states. 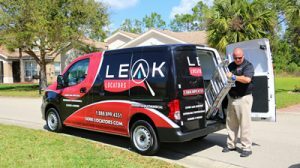 Leak detection in your home or business can be stressful. Believe us, we get it! We’re homeowners with a million other things we’d rather be concerned with. 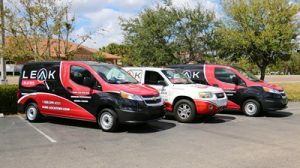 Whether there are leaks in your walls, under your slab, in your yard, windows, roofs, or stucco – We’ve got you taken care of. It’s one of those things where the sooner you get it addressed and corrected, the cheaper and easier it is to get back to normal. We make it more affordable than you think. 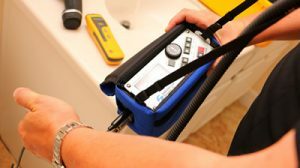 The truth is modern advances in leak detection equipment and procedures have made it pretty easy. 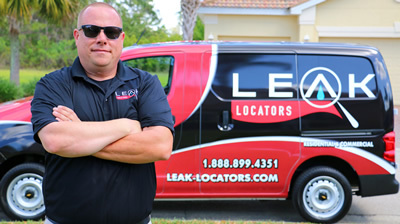 We guarantee your leak will be detected. We work throughout Florida locating the most hard to find leaks. We have performed accurate leak location services hundreds of times in all types of communities. 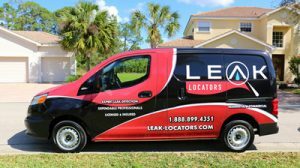 As a matter of fact, several of the gated Florida communities call on Leak Locators, Inc. to help them when they have a leak they can’t find on their own. 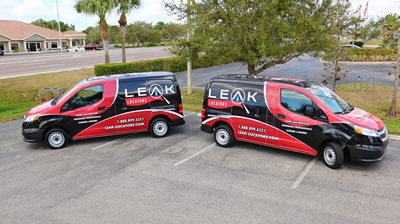 If your home or business has a leak, call Leak Locators of Florida. We are a 24 hour leak detection company that can locate any leak.